You can criticise her for many things, but certainly not for being a shrewd businesswoman. 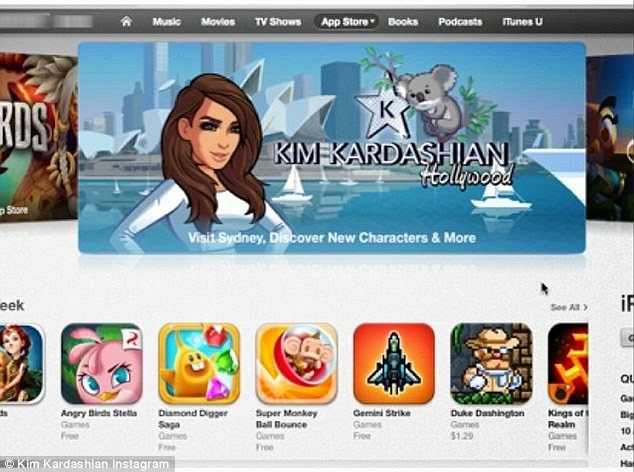 When Kim Kardashian announced that she was creating an app for iPhones and Androids that allows players to interact with her as they work their way up to the A-list, most thought it was a joke. 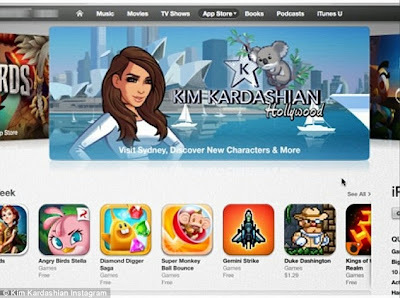 But it seems that Kim is the one having the last laugh as the game has already amassed an incredible $43 million, according to parent company Glu Mobile's third-quarter earnings report. Having taken in $1.6 million in the first five days of release alone in late June, the latest figure actually falls short of initial projections that the game would rake in as much as $200 million by the end of the year. According to Glu Mobile, the 34-year-old's app has earned the company more than all their other apps combined. A fact that isn't all that surprising considering it has been installed just shy of a staggering 23 million times - 22,857,239 to be exact for those who are curious. That figure translates to approximately 5.7 billion minutes of gameplay. While the game is free to play, users can buy their way to the top much quicker by using actual money to purchase things such as beachside houses in Malibu. Soon after its launch, mounting complaints began rolling in that it was hard to bypass the payment options when playing the 'addictive' game, with parents concerned their kids could amass huge debts by accident. She continued: 'I think you just have to be responsible, and don't have your credit card linked to where your kid can just spend if they want to. 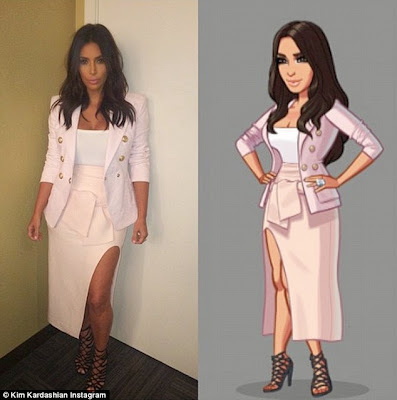 Just as Kim's life has moved onwards and upwards since June, so too has the game. More and more of her real-life fabulous outfits appear on her virtual self, while in October, a wedding feature was added, too. The reality star of course married rapper Kanye West, 37, in a lavish ceremony in Florence, Italy on May 24. Now, users can also get married in front of the towering wall of white flowers just as the couple did in a gown that matches the star's unique custom Givenchy Haute Couture creation.